Selattyn and Craignant Studs. Quality Welsh Cobs. 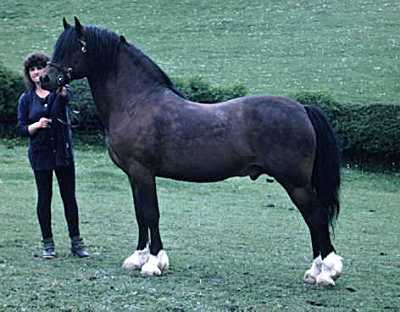 Craignant Stud started in the late 1960's with my father Mr Eric Hughes, who sadly died in September 1997. When Craignant Flyer was born in 1977 that really put the Craignant Stud on the map. 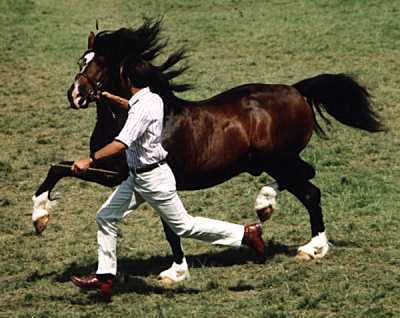 When we purchased a son of Flyer's in 1988 at the Welsh Cob Sales at Builth Wells the Selattyn Stud came to the fore. The Flyer son was none other than Mabnesscliffe Survivor. Survivor gave so much pleasure both in and out of the show ring. He now enjoys a life of leisure on the hill tops with his ladies. My daughter has taken over the Craignant prefix and Cheryl and I continue with the Selattyn prefix. Best wishes to all Welsh Pony and Cob Enthusiasts. Visitors are very welcome but please ring first.